From the Author “Small Crimes,” A MAJOR FILM STREAMING ON NETFLIX comes an adrenaline-pumping new series. Part One, The Hunted: Dan Willis is unemployed and desperate when he is recruited by The Factory. Trained to hunt down and kill insurgents hell-bent on destroying the country, Willis methodically and efficiently performs his job. But there’s a dark secret behind The Factory, and when Willis discovers it no one is safe. ˃˃˃ Part Two, The Dame, Dan finds himself a fugitive and on the run from The Factory. When a misfit group of criminals recruits him to steal The Dame””a priceless Dutch painting””it looks easy enough, at least until another dame gets into the picture. Then all hell breaks loose as double crosses pile up fast and furiously. 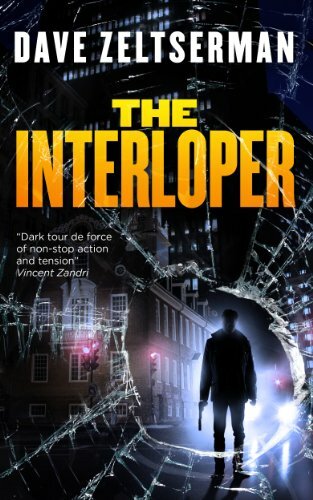 ˃˃˃ In the adrenaline-pumping, Part Three, The Interloper, Dan and a gang of thieves pull off a drug warehouse robbery until an interloper comes along. Then it becomes a race to see who can stay alive. Four stories about the restless souls who have struck out from the safe path and traveled down a long, dark road.